Watch for new Updates and photos in January 2019. Glad problems with website have been resolved. The Reverend T.E.M. Barber M.A. This site is dedicated to the memory of The Reverend T.E.M. Barber who was the longest-serving ever Vicar of Spondon, Derby, from March 17th 1939 until his retirement at the age of 79 in May 1986. Immediately after arriving in Spondon, Mr. Barber began a Boys' Club which flourished until his death at the age of 81 in 1988. We hope all ex-members of the Cub will actively support this website and submit information and reminiscences, photos, videos etc. Please click on the contact page to submit material. Everyone is welcome to view our general site, but we have a Members' Area exclusively for members of the Club. Membership was conferred in person in every case by The Reverend T.E.M. Barber following discussion in the Club Committee. The club closed shortly after the Vicar's death in 1988 and the Committee disbanded a few years later. However, ex-members of the Committee and other Old Boys have subscribed to the idea of creating a website in memory of the Reverend Mr. Barber and to act as a focus for former members. We therefore recognise that membership of the Club has not ceased and all members from 1939 to 1988 are encouraged to register in the Members' Area. Thanks to your support, we have upgraded this site to enable the loading of large files and many pages. Tommy Clark, who attended the re-union in September, has sadly died. Just glad that he was able to meet his old friends at the reunion last year. 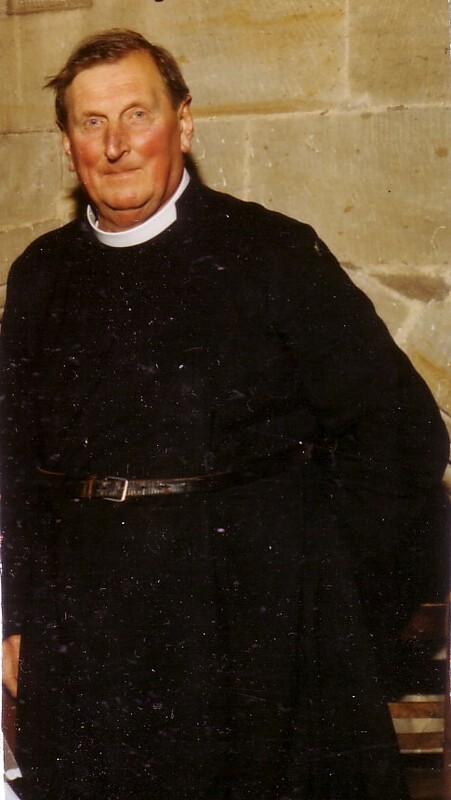 This year will mark the 80th anniversary of the Spondon Church Boys' Club founded by the Vicar the Reverend T.E.M. Barber A Grand Reunion took place at Spondon Village Hall last September. We were glad to welcome so may old members, icluding several founder members who brought interesting photos. We intend to upload some of these photos this month. We have now taken out another year's subscription after getting a discount for poor service. We have already had one donation of £5 towards the £55 fee, so if any members can send two or three pounds by PayPal to beetstphn@aol.com it would defray the costs. One of our members has created a FACEBOOK page which has already attracted over 40 members. Please do visit it. "Mr Barber was one of those rare people who, on first meeting, would command instant respect and trust. I can recall that he appeared to have instant faith in me and, indeed, negotiated my first job for me when I was about 14 years old." Read Ian's full tribute in Memories/Tributes section. The Rev. T. E. M. Barber and Miss Sylvia Barber, son and daughter of Canon and Mrs. Barber, Hucknall Vicarage, were victims an extraordinary accident at a camp near Lincoln ..."
Read the full report of how Mr. Barber was seriously injured in Press Reports section. 1940 - The Camp that almost never was! "Can we go to Camp? : We certainly hope so!" How Mr. Barber overcame all opposition and insisted on taking camp despite the onslaught of the Blitz, and with the special permission of the new Churchill coalition government. A Tribute by Dr. Pete Meakin Artistic Director of Derby Live. "And words were never wasted with the Vicar. They were used sparingly, but always to the utmost effect. A word of criticism from the Rev. Barber, only ever given with the greatest care and consideration, would cut deeper than the sharpest knife." - The Reverend T.E.M. Barber: Curate-in-Charge of St. Nicholas' Church, Lincoln. The pre-Spondon years and the St. Nichols's Church Boys' Club, complete with photos of camps from 1933 to 1938. Including:- The 1930's. - The opening of Lord Byron's Tomb in Huckall Torkard Church by the Vicar's father, The Rev'd Canon T.G. Barber M.A. The account given in Canon Barber's own words and not based on the false rumours prevalent on the internet. The Blue Lady and other Ghost stories. Send in your recollections of Mr. Barber's famous ghost stories! Somewhere, someone has an audio tape of the Vicar telling a ghost story!!! Where is it?